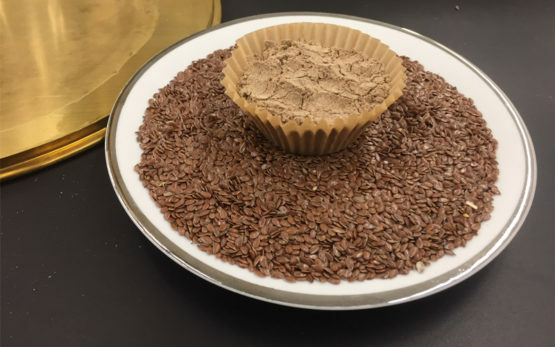 XanFlax is comprised of water soluble polysaccharides derived from flaxseed meal and is perfect for baking applications. 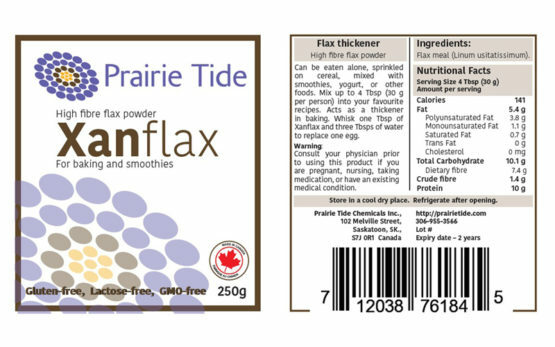 Due to Prairie Tide’s proprietary manufacturing process XanFlax is the strongest and most consistent flaxseed thickener available. Suitable replacement for xanthan gum, guar gum, Arabic gum, cornstarch, and flour. Enhances texture and palatability of gluten-free food. Can be used as an egg replacement. Lowers cholesterol, blood triglycerides, and appetite. Lowers fasting blood glucose levels and cholesterol in type 2 diabetics. For recipes, please check out our recipe section. XanFlax is a non-fermented thickening agent that can be used in gluten free products to consistently enhance gluten free food texture and palatability. It can also be used as an egg replacement. Soluble fibre from flaxseed has been shown to lower cholesterol1, lower blood triglycerides and reduce appetite2, lower blood pressure in prediabetic patients3, and lower fasting blood glucose levels and cholesterol in type 2 diabetics (Thalur 2009).